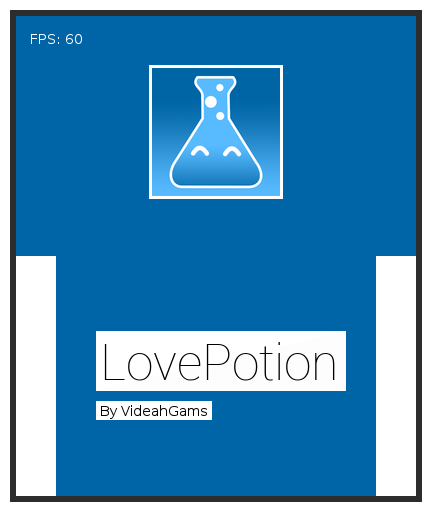 LövePotion is my attempt at porting the LÖVE API over to 3DS Homebrew. Go here for semi-stable releases. Last edited by VideahGams on Fri Sep 25, 2015 7:05 pm, edited 2 times in total. Wow! I'm really glad somebody is trying this. Keep it up! 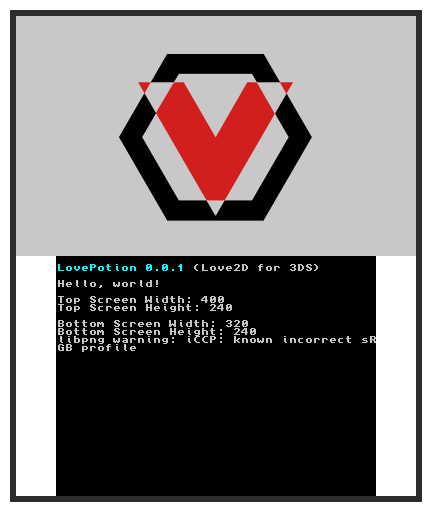 Being able to run Löve games on the 3DS is a dream of mine; my current Löve game is written in such a way that all Löve API calls are contained within specific functions so that those parts can easily be switched out if I manage to get a porting process started at some point. HOLY...!!! That's awesome, man ! Sooo glad someone is doing this, thanks! 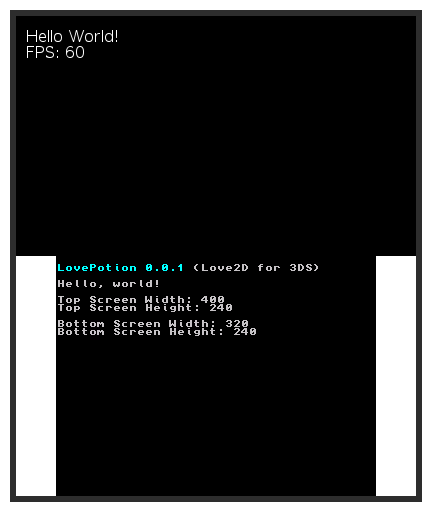 I've added love.keyboard support, and here's a webm of Love2D and LövePotion running side by side. On the left is Love2D and on the right is LövePotion running on Citra. Image drawing is working, need to improve image loading. My new 3DS arrived today, so once IronHax is out I should be able to start testing on an actual 3DS! On that note, you might want to download the game 'IronFall Invasion' from the eShop before it gets pulled if you don't have other means of homebrewing. Thanks for the hint, gonna get Ironfall!